FRANKFURT. Scientists at the Goethe University Frankfurt and at the Senckenberg Biodiversity and Climate Research Centre working together with their Canadian counterparts, have reconstructed the climatic development of the Arctic Ocean during the Cretaceous period, 145 to 66 million years ago. 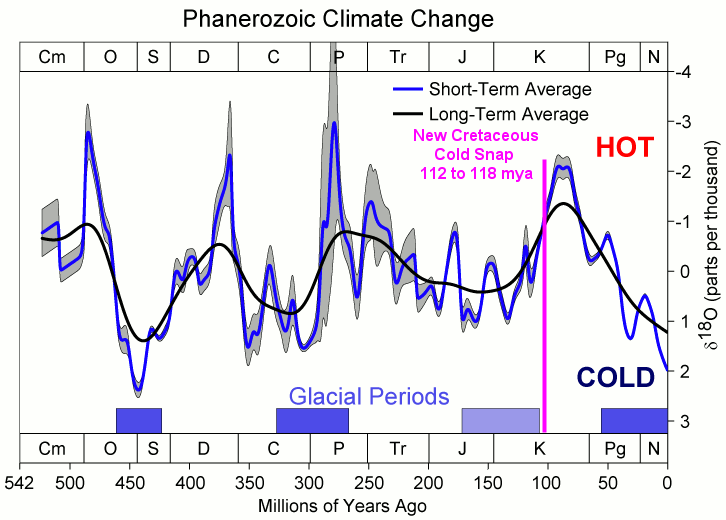 The research team comes to the conclusion that there was a severe cold snap during the geological age known for its extreme greenhouse climate. The study published in the professional journal Geology is also intended to help improve prognoses of future climate and environmental development and the assessment of human influence on climate change. I am reposting David Archibald’s post, but I recommend that readers look at the comments. As expected Leif Lsvalgaard does not agree, but he provides some useful information. I found most of thoughtful comments to be interesting. Strong solar activity has been studied by scientists since 1759 because it has a direct impact on change in temperatures in the “thermosphere,” which extends from about 56 miles to between 311 to 621 miles above the Earth. The thermosphere sits between the mesosphere below and exosphere above. As the biggest layer of the Earth’s atmosphere, temperatures rise and fall in the thermosphere, depending on the amount of highly energetic solar radiation that is release from flares and sunspot. Physicists have found a direct relationship between solar activity, cosmic rays, and clouds on Earth. In times of low solar activity that result in weak solar winds, more cosmic rays reach the Earth’s atmosphere. That, in turn, has been shown to generate an increase in certain types of cloud cover that can act to cool the Earth. A quiet sun is beginning to attract more media attention. The sun is almost completely blank. The main driver of all weather and climate, the entity which occupies 99.86% of all of the mass in our solar system, the great ball of fire in the sky has gone quiet again during what is likely to be the weakest sunspot cycle in more than a century. The sun’s X-ray output has flatlined in recent days and NOAA forecasters estimate a scant 1% chance of strong flares in the next 24 hours. Not since cycle 14 peaked in February 1906 has there been a solar cycle with fewer sunspots. 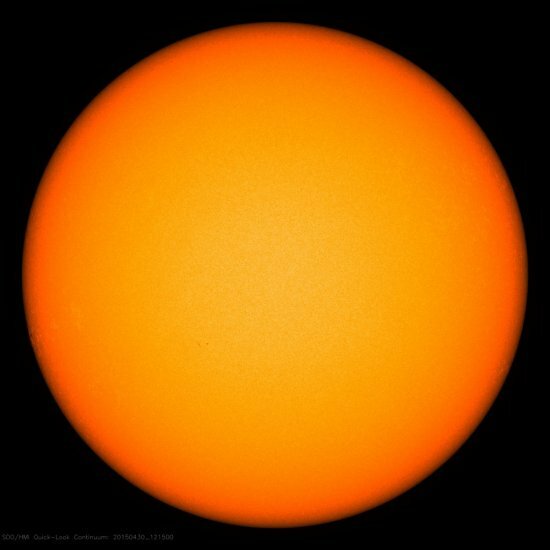 We are currently more than six years into Solar Cycle 24 and the current nearly blank sun may signal the end of the solar maximum phase. Solar cycle 24 began after an unusually deep solar minimum that lasted from 2007 to 2009 which included more spotless days on the sun compared to any minimum in almost a century.